Edward Comerford of Westcourt, Callan, Co Kilkenny, was the estate manager and one of the closest confidantes of both Walter Butler, 11th Earl of Ormond, and his grandson, James Butler, 12th Earl of Ormond and first Duke of Ormond, was Sovereign or Mayor of Callan in 1632, was twice elected MP for Callan, and was a prominent in the events surrounding the Confederation of Kilkenny, where he stood out as a supporter of the Ormond interests and a strong opponent of the Papal Nuncio, Cardinal Rinucinni, and his interests. He played a key role in passing information between the Confederation in Kilkenny and the Ormond government in Dublin during the conflicts of the 1640s and 1650s. Later, in 1661, Charles II noted that Comerford had worked for Ormond “for many years” and had been faithful to Ormond’s interests and the royalist cause throughout the 1640s. Edward Comerford lived at Whitescourt, now known as Westcourt, on the edges of Callan, Co Kilkenny, and he owned extensive properties in the town of Callan and in the surrounding area. However, these properties were confiscated in the 1650s under the Cromwellian regime and were never recovered by his family. Although members of his family appear to have been involved in local politics a generation later, when Callan received a charter from King James II, his branch of the Comerford family never again acquired the same political influence or power. Edward Comerford was the son and heir of Thomas Comerford of Callan. Carrigan identifies Edward’s father as Thomas Comerford fitzHenry of Callan, a member of the Ballymack branch of the family. Like many members of the Comerford family at the time, Thomas Comerford of Callan worked on behalf of the Ormond Butlers and owed his prosperity to their patronage. On 10 December 1613, Ormond leased the Manor of Callan to Thomas Comerford, Thomas Merry and others for 21 years. Thomas appears to have Sovereign (Mayor) of Callan, and married Lettice Shee. When he died in 1629, he was buried in Saint Mary’s Church, Callan. A once-elegant monument on the wall of the church describes him as the “Flower of Callan.” Beneath it, a slab inscribed with the words Ostium monumenti, marked the entrance to the Comerford family vault. Edward was born ca 1600, for we find that he was of full age (i.e. 21) when his father, Thomas, settled upon him the lands of Ballyclovan and Foulkesrath and many messauges and gardens in the town of Callan on 25 February 1622. Soon after, Edward Comerford began working for the Ormond Butlers, as a lawyer and legal agent, first for Walter Butler, 11th Earl of Ormond, and later for Walter’s grandson and successor, James Butler, 12th Earl of Ormond and later first Duke of Ormond. In 1629, when James Butler, as Viscount Thurles and the heir to the Ormond titles and estates, married his cousin, Lady Elizabeth Preston, daughter of the Earl of Desmond, Edward Comerford was a party to the lease of Bennetsbridge and mills as part of the marriage settlement. James Butler eventually succeeded his grandfather in 1632 as the twelfth earl, and in 1660 became the first Duke of Ormond. From about 1630, there is a lengthy series of correspondence between Edward Comerford and Walter Butler, 11th Earl of Ormond. This correspondence, and his correspondence with the 12th earl, continues until 1652. Comerford – who was known to the 11th earl as “Ned” – acted as an agent for the Butler Ormonds throughout this time. Edward travelled on behalf of Ormond between Foulksrath, Co Kilnenny (1630), Clonmel, Co Tipperary (1631), and he went on to travel regularly on behalf of the Ormond Butlers between Ireland and England. Meanwhile, Edward had taken the first steps in a political career in which be became involved in local and national politics. He was Sovereign or Mayor of Callan in 1632, and to mark that election, Comerford presented the town with a 20 inch silver mace, engraved with the initials “E.C.” The mace later became the property of the Callan Town Commissioners, and was on display in commissioners’ office in Callan along with the town’s ceremonial sword. The Phoenix went to report: “The Administration building in Callan is in the process of being rebuilt and the Callan Heritage Society are hopeful that a Museum will be incorporated into the finished complex. They also hope that the Callan Mace will feature prominently among the most interesting items in the Museum’s collection.”  However, the museum has never materialised, and the former town hall now serves as a café. Edward Comerford’s patron Walter Butler, 11th Earl of Ormond, was a public Catholic and was known to his contemporaries as “Walter of the Beads and the Rosary.” Shortly before Walter’s death, Comerford was one of the subscribing witnesses to “the demise of the True Cross” by Ormond. The relic of the True Cross was given by Pope Lucius III to Donald O’Brien, King of Limerick, in 1182, when he founded Holy Cross Abbey near Thurles, Co Tipperary. At the dissolution of the monasteries, the Ormond Butlers took possession of the relic, but Walter Butler was concerned about the future of this relic after his death as his grandson and heir, James Butler, Viscount Thurles, was an Anglican. In this special codicil, Walter passed the relic on to his personal physician, Dr Gerald (Garret) Fennell, for safekeeping. Eventually it passed from Butlers of Westcourt to the Ursuline Convent in Cork. Walter died on 18 February 1633, and was succeeded by his grandson, James Butler, Viscount Thurles, who became 12th Earl of Ormond. Comerford remained as the Ormond estate manager, and later played a crucial role in local politics, remaining loyal to Ormond throughout the period of the Confederation of Kilkenny. Maltravers was also MP for Arudnel in the English Parliament (1628-1629, 1640), and in 1646 he succeeded his father as 22nd Earl of Arundel and titular head of the Howard family – the premier Roman Catholic family in England. His sons included the fifth and sixth Dukes of Norfolk and Cardinal Philip Howard (1632-1694). Through Ormond’s patronage, Edward Comerford was elected MP for Callan a second term in 1639, along with Sir Thomas Wharton, and served until 1648. Wharton’s descendant, the rake Philip Wharton (1698-1731), Duke of Wharton, of Rathfarnham Castle, later married Colonel John Comerford’s stepdaughter, Maria Theresa O’Beirne [See Profile , ] But Wharton only served until March 1641 and was replaced as MP by Lord Mountgarret’s son-in-law, Richard Bellings. Meanwhile, following the death of Walter Butler, 11th Earl of Ormond, in 1633, Edward Comerford continued to work in a similar capacity for his grandson, James Butler, 12th Earl of Ormond. In 1636, on behalf of Ormond, Edward Comerford and others received in trust the lands of the manors of Tullow and Rathvilly, Co Carlow, from Thomas Comerford and others. During that year, Edward also travelled from Passage East, Co Waterford, to London, with a brief visit to Bristol. Comerford later went back to London, returning to Callan at the end of 1636 until 1637. He was back in London on Ormond’s behalf for most of 1637, except for a brief visit to Callan from the end of July until September or October. Carrigan was of the opinion that the original tract of land, or townland, known as Callan lay altogether on the north bank of the King’s River, and consisted of Westcourt, the part of Callan town north of the bridge, and the Abbey Meadow. He goes on to assert that the original Irish town or village at Callan stood at the north side of the bridge, under the shelter of Callan Moat, and that the part of the town south of the bridge was probably planned out and founded by William Marshall the elder. 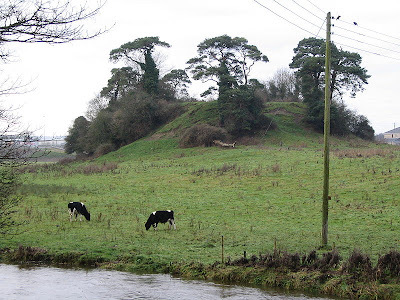 Callan Moat is situated in Westcourt Demesne, about 40 or 50 perches from Callan Bridge. It is a huge mound of earth, about 40 ft high, and 46 yards long at top, and 24 yards wide. Carrigan says that while this mound may have been sepulchral, it also served as a fort, and was, probably crowned by a castle at one time. At the opposite end of the town, there was a smaller moat about 10 ft high. Known as Cromwell’s Moat, it stood partly within the Fair Green, and partly on the track of the road to Cooliagh, but was levelled about 1850. Westcourt Castle, of which some traces remain at Westcourt House, was the old manor house of Callan, according to Carrigan, and it passed from the descendants of Earl Marshall to the Earl of Ormond in 1391. Edward also owned the town and lands of Killtoleghan (Kiltallaghan), and a parcel of arable wood and pasture in Maylardstowne (Mallardstown), commonly called Tywesland, in the Barony of Kells; the town and lands of Ballycloran (Ballyclovan) and Foulksrath, East Bowtown (Bolton), &c, all within the Borough of Callan, including West Court (Westcourt), at a rent of £1 4s; and the town and lands of Ballydingin in the Barony of Compsie, Co Tipperary, at a rent of 4 shillings; to hold of the chief lords of the fee, the Ormond Butlers. In 1640, Edward Comerford borrowed £4,000, which Manning suggests was for building works in Westcourt and Callan. He was acting as Ormond’s legal agent throughout 1641. On 30 July 1641, he drew up and signed Ormond’s lease of lands in Nenagh, Templemore and other parts of Co Tipperary to Sir William Usher and John Usher of Dublin. The Butler interests in Co Mayo, dating back to at least 1281, included much of Burrishoole and Murrisk, including Achill Island and Ballycroy. By 1585, ‘Black Tom,’ the 10th Earl of Ormond, had managed to claim the Butler interest in Co Mayo for himself, and the Comerford family had acted on behalf of the Ormond interests in the Achill area and Co Mayo ever since Garret Comerford had reported to Black Tom on the wreck of ships from the Spanish Armanda in the region in 1588. [see Comerford Profiles 4: Justice Garret Comerford (ca 1558-1604), judge and politician]. In 1612, Richard Comerford was one of five Kilkenny lawyers who received “the castle, lands and tenements of Ackille’ on behalf of Black Tom. Eventually, the Ormond interest in Achill and Burrishoole was sold to John Pollexfen in 1694. At the end of 1641, Ormond’s Butler rival and cousin, Richard Butler, 3rd Lord Mountgarret, sided with the Irish rebels. When Ormond left Kilkenny for Dublin that November with his troop of horse, there was no government cavalry left in Co Kilkenny to resist Mountgarret’s hastily assembled companies of horse and foot. Four men – Captain Warren in Kilkenny Castle, Captain John Farrell in Castlecomer, and Edward Comerford and Ambrose Aungier in Callan – raised the core of the Ormond or government force in Kilkenny. Comerford and Aungier ensured a militia of 30 musketeers and 40 pikemen was “levied against all rebels and disloyal people,” although, as Edwards points out, while the pikemen had halberds and brownbills, it seems the musketeers had no muskets or bandoleers. There is no correspondence from Edward Comerford throughout 1642, when the Catholic Confederation met in Kilkenny. Edward was a member of the Confederation of Kilkenny, but as a supporter of Ormond he had little influence in Kilkenny. He opposed the Confederate leadership, and in 1642 he subscribed to the Oath of Association. When a one-year ceasefire was agreed between Ormond and the Confederate leadership on 15 September 1642, a few members of the Kilkenny gentry emerged as identifiable Ormondists” to work on his behalf in the county. However, according to Edwards, this handful was no more than five out of a local gentry community of several hundred: Sir Edward Butler of Duiske, Sir Richard Butler of Knocktopher, and three key members of Ormond’s staff in Kilkenny – Ormond’s physician, Dr Gerald (Garret) Fennell, his business agent, Patrick Archer, and his estate manager, Edward Comerford. Edward Comerford of Whitecourt [sic] was listed among those who submitted to the cessation of 1643. Between November 1643 and February 1647, Comerford’s correspondence with Ormond continued, with Comerford reporting to Ormond in Dublin from Callan, Gowran and Kilkenny. The correspondence from this period also includes a letter from Sir Richard Butler at Cocktofer (Knocktopher), and George St Leger at Tignehinch. The correspondence from this period also includes a note from Ormond to Edward Comerford on 15 July 1644, “respecting loan by Captain Power from P Archer,” a paper from Kilcash, dated 23 September 1644, addressed to Ormond and signed “Richard Butler” and “Edwd Comerford,” papers dating from November 1644 in connection with mortgages and transactions between the Lord Lieutenant, Ormond, Lord Netterville, Henry Comerforde and Edward Comerford, and an undated letter from Dublin from the Countess of Ormond and Ossory to Edward Commerford (sic). Cardinal Rinucinni visited Kilkenny on 12 November 1645, when Edward Comerford appears to have been in Kilkenny. Comerford was loyal to the crown and constantly opposed the Papal Nuncio, Cardinal Rinucinni. He submitted to the peace signed with Ormond on 28 March 1646, which was opposed by Rinucinni and the majority of members of the Confederation, and Comerford also accepted the cessation with the Earl of Inchiquin. After a second peace with Ormond, which would once again prove to be short-lived, the sums received by the Supreme Council at Kilkenny included £12 2s from Edward Comerford of Co Kilkenny, according to accounts produced in 1647. However, Rinucinni and his allies continued to oppose any agreement with Ormond, making life difficult for Ormond’s supporters in Kilkenny, including Comerford. On 23 February 1647, Comerford reported to Ormond from Kilkenny on the difficulty of raising £100 for Lady Ormond by mortgage. After that, the correspondence between Comerford and Ormond is less regular, although there is one letter from Kilkenny to John Stoughton on 5 October 1648, and another from Ormond at Carrick-on-Suir to “Comerforde” on 13 January 1652. Edward Comerford submitted to the peace of 1648, and constantly adhered it, remaining loyal to Charles I until his execution in 1649. In 1653, Comerford forfeited Whitescourt or Westcourt and his other estates under Cromwell. The lands he lost included: Castletobin, 143 acres 1 rood 10 perches; White’s Court, 105 acres 1 rood 10 perches; Common, 6 acres 1 rood and 11 acres 2 rood; Common burgas, 390 acres 0 rood 18 perches; and another 2 acres. In the list of confiscated properties in Callan Town, he is named as Edward Cumberford. In Callan, he held properties in Kennie Street, South Street and East Street (now Mill Street). It is interesting to note that Comerford was the principal property holder in East Street, owning 12 of the 26 properties. 1, Tenant, Darby Dingle; a house, plot 80 ft in long, 21 ft wide, and a small garden of 8 perches. 2, Tenant, Patt [Patrick] Vance; a garden of 40 perches. 3, Tenant, Pierce Cumberford; a thatched house with a chimney and stone walls, 60 ft long, 21 ft wide, and a small garden of 10 perches. 4, Tenant, Pierce Cumberford; a second part of the same house, 36 ft long and 21 ft wide. 5, Tenant, Major Redman; a slated, two-storey house, with three chimneys but with half the roof down; it had stone walls, was 70 ft long and 18 ft wide; there was no garden. 6, Tenant, Major Redman; a house plot, 50 ft long, 15 ft wide, with an orchard of two perches. 7, Tenant, Major Redman; a three-storey slated house, with stone walls, nine rooms, three chimneys; 71 ft long, 23 ft wide; an orchard and garden of 30 perches. 8, Tenant, Major Redman; old walls and appurtenances to the same house (see No 7), 70 ft long, 23 ft wide. 9, Tenant, Major Redman; a thatched house with mud walls, 42 ft long, 21 ft wide; the property included a small barn, a garden and an orchard of 30 perches. 10, Tenant, Major Redmond; a waste plot that was attached to the above house (see No 9), 16 ft long and wide. 11, Tenant, Edmond Comin; a garden and orchard, 30 perches. 12, Tenant: John Presswick or Pressick; a garden with a small cabin in it, running to 20 perches. 13, Tenant: John Presswick; a garden or orchard of 35 perches. 14, Tenant: John Presswick; a garden plot of 25 perches. 15, Tenant: John Presswick; a thatched cabin built of stone walls, 35 ft long, 18 ft wide, and with a garden plot of 20 perches. 16, Tenant: John Presswick; a thatched cabin with mud walls, 24 ft long, 18 ft wide, and a garden of 30 perches. 17, Tenants, Patt Vance, John Corbitt and John Pressick; a house and plot with a small cabin and a garden of 30 perches. 18, Tenant: John Hickey; a thatched cabin of mud walls, 21 ft long by 16 ft wide, with a garden of 20 perches. 19, Tenant: John Presswick; a thatched cabin, half built with stone walls, the other half wattled, 21 ft long, 16 ft wide, and with a garden of 20 perches. 20, Tenant: Major Redmond; a garden plot of 40 perches. King Charles II wrote from Whitehall to the Lords Justice of Ireland on 28 February 1661, on behalf of Edward Comerford’s son and heir, Thomas Comerford, apparently at the request of Ormond, pointing out that Edward had been Ormond’s “servant for many years” and that he had served Ormond and the royalist cause faithfully until Charles I’s death in 1649. As Manning points out, the letter suggests that Edward Comerford was dead by the time Lady Thurles wrote to her son. It is not known whether Ormond heeded his mother’s advice. 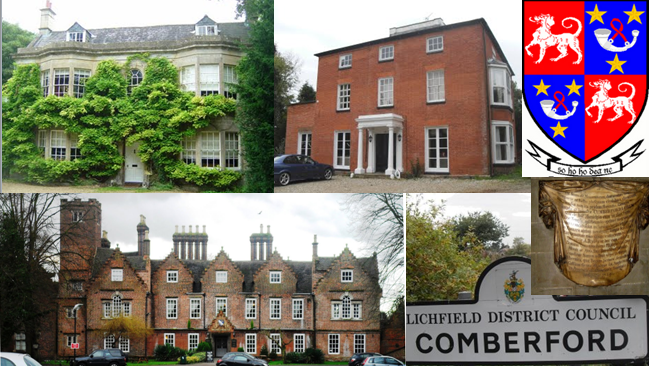 Certainly, Edward Comerford’s family never recovered their extensive properties in Callan. Colonel Edward Stubbors retained White’s Court or Westcourt, as well as a considerable amount of land in and around the town, while Edward’s two large slated houses in East Street (now Mill Street) were rented to Major Daniel Redman. Carrigan quotes Mrs Thomas Shelly as his authority for saying Westcourt Castle was the strong Butler castle of Callan, mentioned in connection with the Cromwellian siege of Callan in 1650. 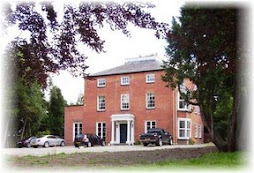 It later became the home of Colonel John Butler, a nephew of James Butler, 1st Duke of Ormond, and an uncle of Dr Christopher Butler, Catholic Archbishop of Cashel (1711-1757). Westcourt Castle then passed to Lord Desart before coming into the possession of George Agar, Lord Callan, in the second half of the 18th century. Shelly says it was also owned by the Galwey family in the mid-18th century. Edward Comerford of Callan has been confused with Edward Comerford of New Ross, Co Wexford, who married Anne Hore, in Betham’s pedigree for Joseph Comerford and by Burtchaell, who probably followed Betham’s misleading pedigree. However, Edward’s wife Anstace was probably a member of the Everard family. 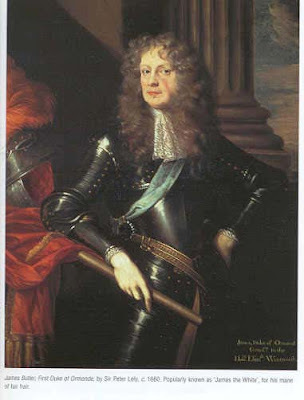 They had one son, Thomas Comerford, who failed to find employment with Ormond after the restoration, despite the recommendations of Charles II and Ormond’s mother, Lady Thurles. Were they also the parents of James Comerford, who is identified in the correspondence between Edward Comerford and Ormond. 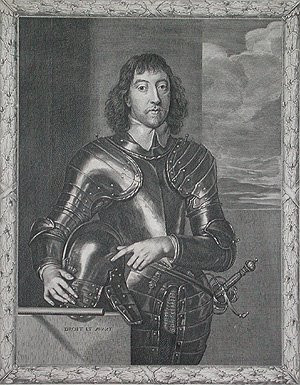 Edward Comerford’s son, Thomas Comerford of Callan, enlisted in the Royalist army in 1649. Carrigan says he was ordered transplanted to Connaught in 1653. He died in 1662, and the administration of his goods was granted to his children on 28 October 1666. Thomas had one son and four daughters: Gerald Comerford; Frances; Mary; Anastasia; Elinor. Cal State Papers Irel 1660-1662, p. 237. Conleth Manning, “Mid-Seventeenth-Century Surveys,” in Joseph Kennedy (ed), Callan 800 (1207-2007) History and Heritage (Callan: Callan Historical Society, 2007), p. 106. Burtchaell, Kilkenny MPs, p. 30. Carrigan 3, pp 304-305; Manning (2007), pp 106-107. Carrigan 3, p. 304; Burtchaell is mistaken when he says Edward was most probably a younger son of Thomas Comerford of Ballybur, who died on 2 February 1588, and a brother of Richard Comerford, who died on 15 June 1637 (see Burtchaell, Kilkenny MPs, p. 30). Carrigan 3, pp 304, 383. See Ormond 6, pp 2, 7, 60, 172, 186-188; Fiants Eliz 6706 (DKPRI 18), pp 102-106; Fiants Eliz 6707 (DKPRI 18), p. 106. Carrigan 3, p. 304; Patrick Comerford, visits to Callan, latest visit, 5.6.2011. Carrigan 3, p. 303; Journal of the Association for the Preservation of the Memorials of the Dead, 2, p. 147; Patrick Comerford, visits to Callan, 1969-2009, latest visit 21.2.2009. Carrigan 3, p. 303; Journal of the Association for the Preservation of the Memorials of the Dead, 2, p. 147. Calendar of Manuscripts of the Marquess of Ormond, NS, Vol 2 (London: HMSO, 1903), p. 359. HMC Report 4 (1874), p. 541. Burtchaell, Kilkenny MPs, p. 30; Carrigan 3, p. 305. Thomas Shelley, Ossory Archaeological Journal (1874), p. 00. ‘Edmund Commerford’s [sic] Callan Mace,’ The Phoenix (Dublin), 28.1.2000, p. 19. Check refs; Shelley (1874), pp 000-000. Cal State Papers Irel, 1633-1647, p. 64; Burtchaell, Kilkenny MPs, p. 30; Carrigan 3, p. 305. Burtchaell, Kilkenny MPs, p. 30; Carrigan 3, p. 305; Edwards, pp 302-303. (Bishop) Michael Comerford, Collections, 3, pp 184, 384. HMC Report 4 (1874), pp 541-542. Carrigan 3, p. 305; Manning (2007), p. 107. Carrigan 3, pp 106-107; Manning (2007), pp 106-107. HMC Report 4 (1874), pp 542-543. J. Ohlmeyer, É Ó Ciardha (eds), The Irish Statute Staple Books, 1596-1687 (Dublin, 1998), p. 195. Egmont Mss, vol 1 (London: HMC, 1905), pp 139-140. Professor Edmund Curtis, ‘Seventeenth Century Documents relating to the Manors of Aughrim and Burrishoole,’ Journal of the Galway Archaeological Society, 16/1 and 2 (1934), pp 54-55. Professor Edmund Curtis, ‘Original Documents relating to the Butler Lordship of Achill, Burrishoole and Aughrim (1232-1640),’ Journal of the Galway Archaeological Society, 15/3 and 4 (1933), pp 121-123; Professor Edmund Curtis, ‘Original Documents relating to Aughrim, Burrishoole and Aran,’ Journal of the Galway Archaeological Society, 16/3 and 4 (1934), pp 136-137. Curtis (1934), pp 50, 52. Carrigan 3, p. 305, Burtchaell, Kilkenny MPs, p. 30, Edwards, p. 331. Dispossessed Landowners, pp 276, 286. Richard Butler of Kilcash lived at Garryricken, Co Tipperary, near Callan. He joined the Irish rebellion in 1641, and was appointed Governor of Co Wexford by the Confederation of Kilkenny. A step-son of George Mathew and a younger brother of Ormond, he was a great-grandson of Edmond Butler, 2nd Viscount Mountgarret, and so a cousin of many of the Kilkenny Comerfords. His great-grandsons eventually succeeded as the 15th and 16th Earls of Ormond, de jure, and the legal right to the titles was recovered by the 16th earl’s son as the 17th earl in 1791. HMC Report 4, pp 543-545. Lady Thurles, the former Elizabeth Poyntz, was the widow of Thomas Butler, Viscount Thurles, who was drowned off Skerries in 1619. See James Condon, ‘Elizabeth, Lady Thurles – Her ancestry and her role in the Rebellion of 1641,’ pp 40-45 in W Corbett, W Nolan (eds), Thurles: The Cathedral Town (Dublin: Geography Publication, 1989). Condon identifies Lady Thurles as “an unrepentant Catholic” and “royalist” (p. 42). Calendar of Manuscripts of the Marquess of Ormond, NS, Vol 1 (London: HMSO, 1902), p. 74. HMC Report 4, p 558. HMC Report 7, p 826a. HMC Report 4, p 554. Dispossessed Landowners, pp 276, 286; Burtchaell, Kilkenny MPs, p. 30. Calendar of Manuscripts of the Marquess of Ormond, NS, Vol 1 (London: HMSO, 1902), p. 107. Cal State Papers Irel, 1633-1647, p. 592. Calendar of Manuscripts of the Marquess of Ormond, NS, Vol 1 (London: HMSO, 1902), p. 112; see Micheal O Siochrú, Confederate Ireland 1642-49 (Dublin: Four Courts Press, 1999). HMC Report 4, p 545. HMC Report 4, p 547. Carrigan 3, p. 305; Burtchaell, Kilkenny MPs, p. 30. Ormond Collection, National Library of Ireland, NLI Ms D4364. Conleth Manning, ‘The Civil Survey of Inistioge and Callan, Co Kilkenny,’ JnRSAI 128 (1998), p. 55; Manning (2007), p. 120. Manning (1998), p. 55; Manning (2007), p. 121. Manning (1998), p. 58; Manning (2007), p. 124. Manning (1998), p. 58; Manning (2007), p. 125. Manning (1998), p. 58; Manning (2007), p. 126. Manning (1998), p. 59; Manning (2007), p. 126; here is name is given as Edwd. Cumberfield (sic) or Cumberfeild (sic). Manning (1998), p. 59; Manning (2007), p. 126. Manning (1998), p. 59; Manning (2007), p. 127. Calendar of Manuscripts of the Marquess of Ormond, NS, Vol 3 (London: HMSO, 1904), p. 11. Calendar of Manuscripts of the Marquess of Ormond, NS, Vol 3 (London: HMSO, 1904), p. 11; Manning (2007), p. 107. NLI Ms 19,696, photographic copy; Manning (2007), pp 130-138. Cal State Paps Irel 1660-1662, p. 237. Cal State Pap Irel 1660-1662, p. 237. Burtchaell, Kilkenny MPs, p. 31. © Patrick Comerford, 2007, 2009, 2013. Last updated 10 August 2009; 13 April 2013.